Cream of the Crop takes the best genes and characteristics from different strain varieties and cross-breeds them to create beautiful, smelly mongrels of nature. Their goal was to offer the finest Cannabis available on the market today, the absolute cream of the crop and sell them at an affordable price so that everyone may enjoy Earth\'s most sacred plant. 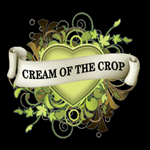 Cream of the Crop\'s research was conducted and compiled over the last 5 years and they now feel they have finally reached their goal.